[S2] 1880 United States Federal Census, online , Year: 1880; Census Place: Cayuga, Cayuga, New York; Roll: 813; Family History Film: 1254813; Page: 431A; Enumeration District: 013; Image: 0632. Mary Helen Foster was born on 8 July 1826. She died on 25 September 1827 at age 1. Isaac B Foster was born on 11 November 1817. He died on 6 May 1843 at age 25. [S9] Ancestry.com, 1860 United States Federal Census (n.p. : Online publication - Provo, UT, USA: Ancestry.com Operations, Inc., 2009. Images reproduced by FamilySearch.Original data - 1860 U.S. census, population schedule. NARA microfilm publication M653, 1,438 rolls. Washington, D.C.: National Archives and Records, unknown publish date), Year: 1860; Census Place: Aurelius, Cayuga, New York; Roll: M653_729; Page: 693; Image: 216; Family History Library Film: 803729. [S26] 1900 United States Federal Census, online , Year: 1900; Census Place: Auburn Ward 3, Cayuga, New York; Roll: 1012; Page: 6B; Enumeration District: 0005; FHL microfilm: 1241012. Mary Etta Tyler was born in April 1868 at Montezuma, Cayuga, New York, USA.1,2,3,4 She lived in 1880 at Fosterville, Cayuga, New York, USA; Age: 12Marital Status: Single; Relation to Head of House: Stepdaughter.1 She lived in 1900 at Bloomfield Ward 1, Essex, New Jersey, USA; Age: 32Marital Status: Single; Relation to Head of House: Boarder.2 She lived in 1910 at Auburn Ward 10, Cayuga, New York, USA; Age in 1910: 41Marital Status: Single; Relation to Head of House: Boarder.4 She lived in 1930 at Auburn, Cayuga, New York, USA; Age in 1930: 62Marital Status: Single; Relation to Head of House: Roomer.3 She died on 27 February 1957 at Auburn, Cayuga, New York, USA, at age 88. [S26] 1900 United States Federal Census, online , Year: 1900; Census Place: Bloomfield Ward 1, Essex, New Jersey; Roll: 969; Page: 13A; Enumeration District: 0199; FHL microfilm: 1240969. [S61] 1930 United States Federal Census, online , Year: 1930; Census Place: Auburn, Cayuga, New York; Roll: 1411; Page: 4B; Enumeration District: 22; Image: 535.0; FHL microfilm: 2341146. [S11] 1910 United States Federal Census, online , Year: 1910; Census Place: Auburn Ward 10, Cayuga, New York; Roll: T624_928; Page: 2A; Enumeration District: 0030; FHL microfilm: 1374941. [S26] 1900 United States Federal Census, online , 1900; Census Place: Montezuma, Cayuga, New York; Roll: 1013; Page: 4B; Enumeration District: 0034; FHL microfilm: 1241013. [S555] Elliott G Storke, History of Cayuga County, New York : with illustrations and biographical sketches of some of its prominent men and pioneers (n.p. : n.pub., unknown publish date), pg xii: Montezuma: Traver, Myra E (Tyler) married Charles Traver Dec 6, 1876 b. Cayuga Co. Dec 24, 1857. Samuel Townsend was born circa 2 September 1799 at Washington, New York, USA.1,2 He married Betsey Taylor, daughter of Joseph Taylor and Lydia Adams. Samuel Townsend lived in 1830 at Granville, Washington, New York, USA.4 He lived between 1850 and 1894 at Cayuga, New York, USA.3 He lived in 1860 at Aurelius, Cayuga, New York, USA. He lived in 1870 at Aurelius, Cayuga, New York, USA.2 He married Mary Ellen Doremus, daughter of Isaac Doremus and Mary McLafferty. 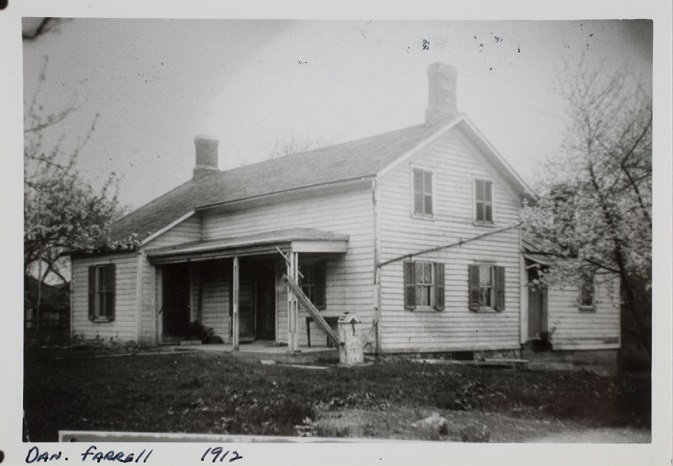 Samuel Townsend lived in 1880 at Fosterville, Cayuga, New York, USA. He died on 2 March 1883 at Aurelius, Cayuga, New York, USA. [S20] Ancestry.com, 1830 United States Federal Census (n.p. : Online publication - Provo, UT, USA: Ancestry.com Operations, Inc., 2010. Images reproduced by FamilySearch.Original data - Fifth Census of the United States, 1830. (NARA microfilm publication M19, 201 rolls). Records of the Bureau of the Census, Record Gr, unknown publish date), 1830 US Census; Census Place: Granville, Washington, New York; Page: 257; NARA Series: M19; Roll Number: 111; Family History Film: 0017171. Catharine (?) was born circa 1797 at New Jersey, USA.1 She married Isaac Warrick. [S241] Holy Family, online <http://www.cayugagenealogy.org/church/holy_family/marriages/…>, Farrell, William Fraher, Johanna February 10, 1855. [S11] 1910 United States Federal Census, online , Year: 1910; Census Place: Springport, Cayuga, New York; Roll: ; Page: ; Enumeration District: ; Image: . [S1] 1870 United States Federal Census, online , Year: 1870; Census Place: Montezuma, Cayuga, New York; Roll: M593_911; Page: 485B; Image: 165; Family History Library Film: 552410. [S26] 1900 United States Federal Census, online , Year: 1900; Census Place: Springport, Cayuga, New York; Roll: 1013; Page: 16A; Enumeration District: 0042; FHL microfilm: 1241013. [S639] Ancestry.com, U.S. Passport Applications, 1795-1925 (n.p. : Ancestry.com Operations, Inc., unknown publish date), National Archives and Records Administration (NARA); Washington D.C.; Passport Applications, January 2, 1906 - March 31, 1925; Collection Number: ARC Identifier 583830 / MLR Number A1 534; NARA Series: M1490; Roll #: 2473. [S74] The Citizen Advertiser, Auburn, NY, Obituary Mary Coughlin, widow of John Coughlin. died In Mercy Hospital at about 7 o'clock Sunday morning. Mrs. Coughlin was in her 85th year. She was born in the Town of Montesuma. For forty years she had lived in the Town of Springport. For the past 20 years she bad resided in Auburn. Mrs. Coughlin was a member of St. Mary's Church, and she belonged to the Rosary and Scapular Society of that parish. Her only survivor is a brother, Daniel Farrell, of Auburn. The funeral will be held from Mullen's funeral parlors - at 8:30 o'clock Wednesday morning with services at St. Mary's Church at 9 o'clock. Burial will be in St. Joseph's Cemetery at Weedsport. Mar 4, 1911 Saturday March7 After an illness of two weeks Mrs. Johanna Farrell died at the home of her daughter, Mrs. John Coughlin, in the town of Springport. at 7 o'clock this morning. Mrs. Farrell was born in Ireland and was in her 86th year. For over 58 years she had resided in the town of Montezuma and was one of its most respected residents. For three years she had made her home with her daughter, Mrs. Coughlin. She is also survived by a son, former Supervisor Daniel Farrell, of Montezuma. The deceased was a kind-hearted, hospitable woman who endeared herself to many friends, who will be sorry to learn of her death. The funeral arrangements are as yet incomplete. The services will probably take place at -St. Michael's church. Montezuma, next Tuesday morning. Burial will be in the family plot in the Catholic cemetery in Weedsport. Margaret Phelan married Daniel Farrell. Daniel Farrell married Margaret Phelan. Johanna Farrell was born circa March 1865 at Cayuga, New York, USA.1 He died in 1868. [S44] Town of Montezuma Records, online http://web.archive.org/web/20020215005729/http://…, (Waybackmachine), Farrell, John Sep 25, 1885 18-1-12 Montezuma William Farrell Joanna. [S2] 1880 United States Federal Census, online , Year: 1880; Census Place: Clyde, Wayne, New York; Roll: 943; Family History Film: 1254943; Page: 125D; Enumeration District: 175; Image: 0442.